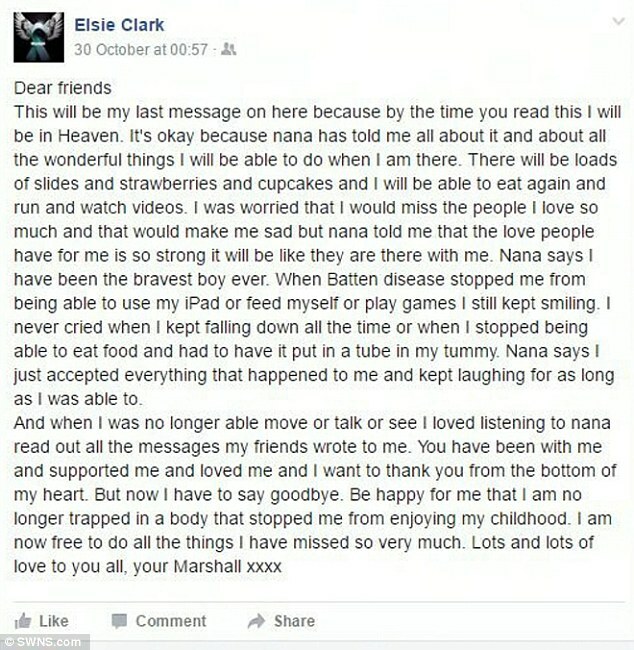 This was the opening to 7-year-old Marshall Clark’s final heartbreaking message to his family and friends. 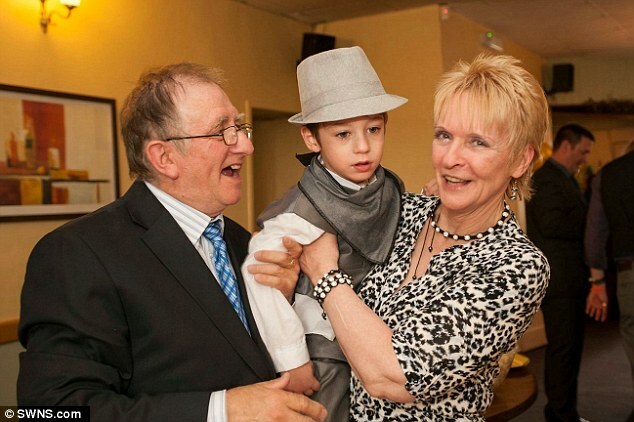 In September 2013, this bright beautiful boy with soft brown eyes from Plymouth, England was robbed of his childhood due to a rare genetic disorder in the nervous system that begins in early childhood, Late Infantile Batten Disease. 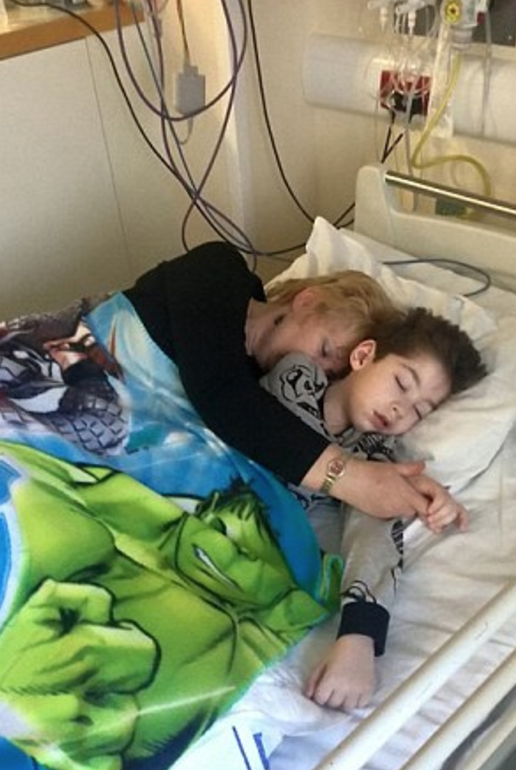 Within 18 months of the terminal diagnosis, Marshall lost everything. He lost his vision, ability to communicate, walk or feed himself. This illness may have taken his physical freedom but it never stopped Marshall from living his life with a smile. His heart shined brighter than ever, showing his loved ones his pure soul and determination for life. His Grandmother Elsie, a trained nurse, cared for her grandson at home. 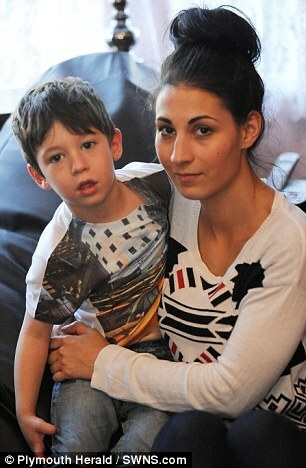 She described Marshall to the Daily Mail as a beautiful, brave little boy. He never complained or got frustrated by it. As the disease took over every joyful aspect of his life, Elsie said Marshall never once cried, complained or gave up. Marshall never stopped trying. Whatever cruel card the disease decided to deal him with, Marshall would accept it and continue to fight to live life to the best of his abilities. This October 29th, Marshall wrote in his last letter to his loved ones that he will be in heaven sliding down “loads of slides,” eating strawberries and cupcakes, running around and watching his favorite videos. This beautiful and brave little boy, Marshall Clark, leaves remnants of his soul through his deeply inspiring story. He reminds us to accept the things we cannot change and to never give up. Previous Post: Why I’m raising soft kids. This brought tears to my eyes. Heartbreakingly beautiful, every moment we have with our little ones is beyond precious, thank you for sharing this. In my quiet time with God this morning, I’ve followed so many threads of thought, but this story catapulted me right into the very center of His Heart. It’s fascinating how stories like this breach every wall of resistance and unite us together…like family. What a heartbreaking, yet beautiful story. He knew and lived what most of us forget, (and what beautiful parents and Nana for teaching him), that love transcends death. And that yes, he is now free of his body, free to play, and yet free to still love his family and feel the love from his family. Thank-you for sharing this wonderful story of this young man who i hope is even now experiencing a joy and peace unbounded in that Heaven he looked so forward to dwelling in. May his comfort be unending. Marshall Clark, a true Hero in the face of suffering despite his small size was a giant for humanity, hes my Hero and I look forward to meeting him in Heaven one day, May our Great God give his loved ones strength and wisdom through this terrible loss not only to them but to the world, my oh my what he would have become. He was a brave little boy. Heaven received another angel. We know not why things happen but one thng we know is that he is no loner suffering. So incredibly beautiful and moving, such courage from a boy. The will to move on and never give up, a hard one. But is something we should all strive for. I try. And will continue to do so. Such strength against such adversity. Words cannot capture. Story of a conqueror ! it be sorrowful because of what he passed through but very admirable to hear what he had concerning his destiny. The strength and resilience of children is amazing!